CHRIS MORELLI/THE EXPRESS Although the offices have been opened since Jan. 2, the WIC offices in Lock Haven held an official ribbon cutting on Friday afternoon. LOCK HAVEN — On Friday, the Women, Infants and Children Program – otherwise known as WIC – officially cut the ribbon on its new office inside the Clinton County Community Center. But the ribbon cutting was simply a formality. 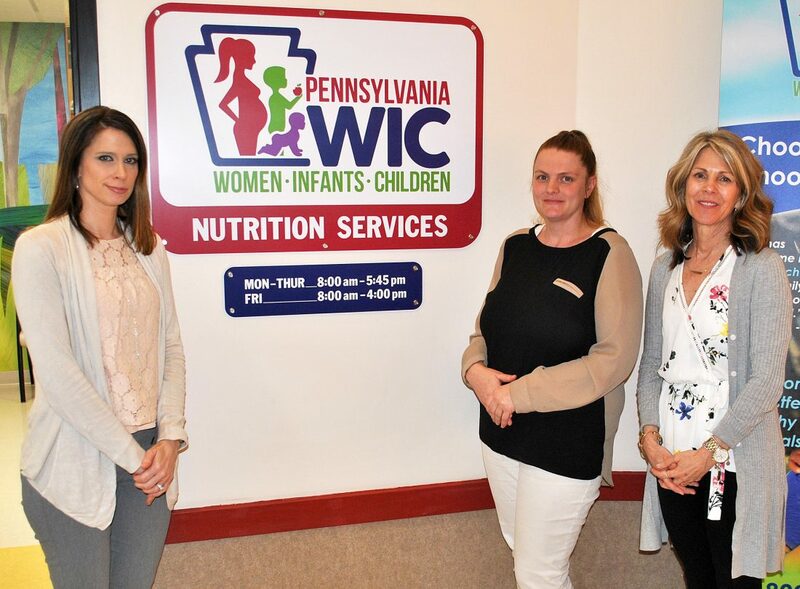 In reality, the WIC offices have been up and running since Jan. 2, when it moved from its former home on Bellefonte Avenue. As Nancy Bittner, WIC Director, took guests on a tour Friday afternoon, she couldn’t help but smile as she went from room to room. According to its website, WIC serves more than 700 families in Clinton County alone. It offers participant-centered nutrition education, healthy food, breastfeeding support and has been serving as a gateway for preventative health for almost 45 years. It is considered one of the most successful, cost-effective and important nutrition intervention programs. 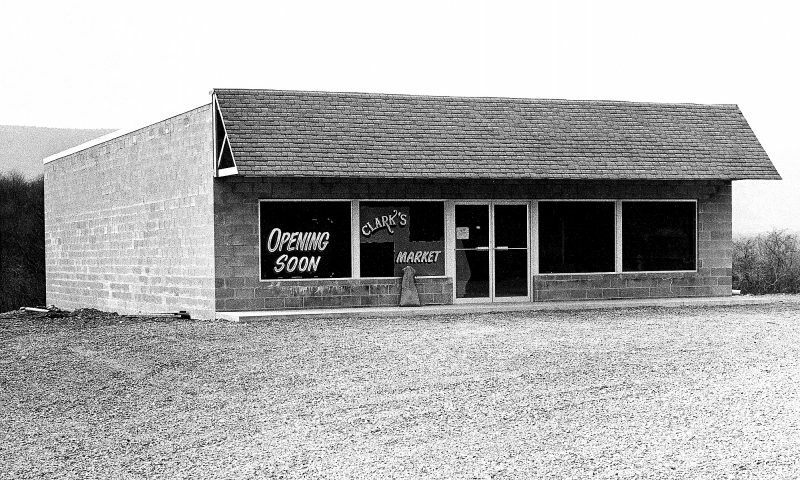 “It’s a little bit of a longer walk from the parking lot, but this is a one stop shop experience. Parents can get their children weighed and measured, they can get their kids to school and then meet with a nurtitionist without interruption,” Bittner said. Sherilee Niedermyer speaks prior to the ribbon cutting at the new WIC offices on Friday morning. Niedermyer is a former WIC recipient who is now employed by WIC. 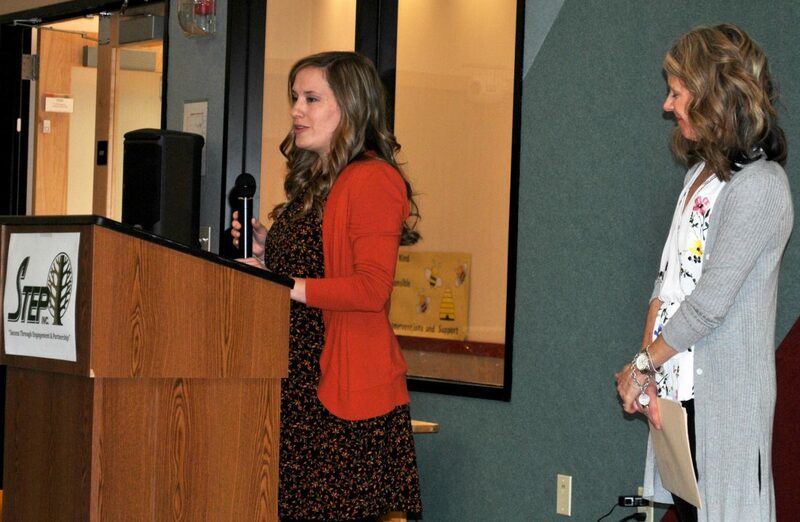 In addition to its offices in Lock Haven, employees at the WIC office serve other communities. “Our staff travels to Jersey Shore and we serve 300 in Lycoming Counties. 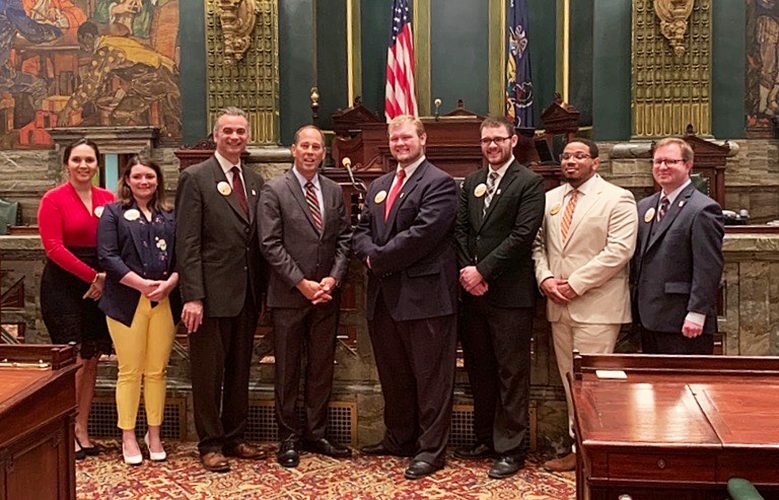 We also have a satellite office in Renovo,” Bittner said. There are four people on staff at WIC. Three are full-time and one is part-time. 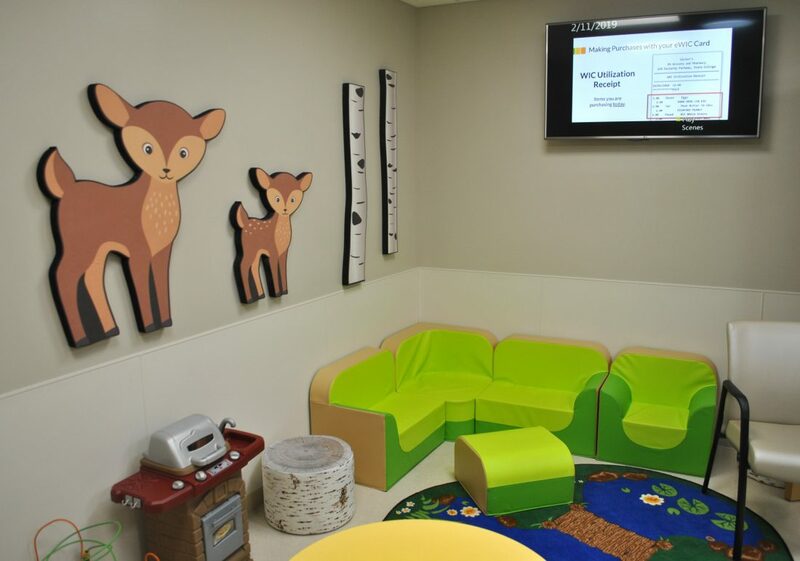 In addition to standard offices, the new facility features a lab area where babies can be weighed and measured, an office for the nutritionists, a breast feeding lounge, a computer room and a small kitchen area. Bittner showed off computers that work in conjunction with the eWIC card. The card offers easier shopping for participating families. One of the waiting rooms at the new WIC offices inside the Clinton County Community Center. “Our agency is piloting the new benefit card. There are only four counties in Pennsylvania that are taking advantage of using the (eWIC) card. Our participants are able to use their nutrition benefits that way now. For 45 years, it was a paper check. We are piloting that program now,” Bittner said. Prior to the ribbon cutting, there were several guest speakers, including: Jim Plankenhorn, CEO of STEP, Inc., Rob Latbach, CEO of HOPE, Joel Weaver, CFO of HOPE and Sherilee Niedermyer, WIC employee. Niedermyer gave a passionate speech about the benefits of WIC. CHRIS MORELLI/THE EXPRESS Members of the WIC staff pose in front of their new home inside the Clinton County Community Center. From left, Michelle Hesser, nutritionist/retail store coordinator, Carrie Klinefelter, office manager/breast feeding counselor and Nancy Bittner, WIC Director. For more information about WIC, call the Clinton County offices at (570) 748-1087.